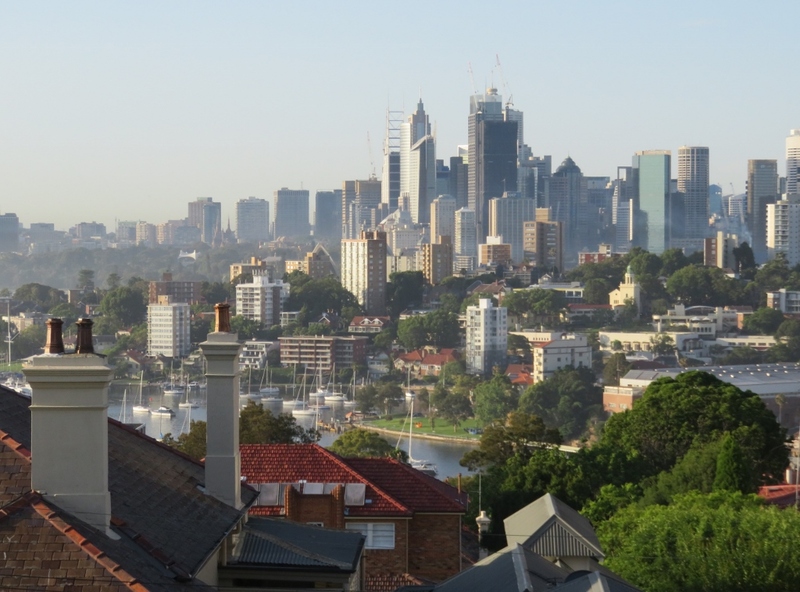 Sydney in summer…beautiful one day, and gorgeous the next! The day I took these photos a sea mist was coming in, consequently the photos are slightly hazy. National Geographic tells me that a sea mist can form when warm air from land suddenly encounters cool air over the ocean. We overheard some early morning joggers say that this usually means a hot steamy day ahead…and that was true. 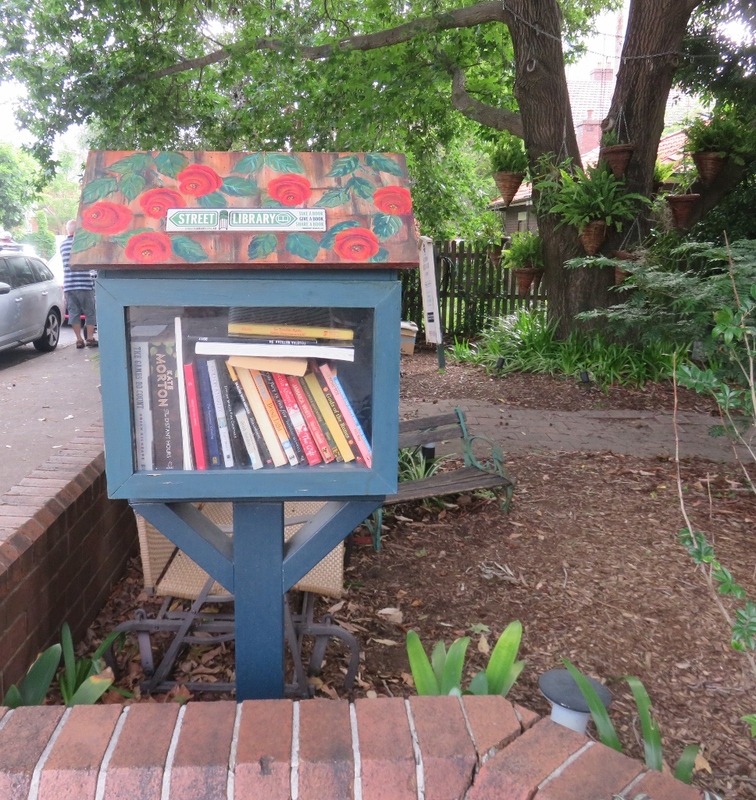 Sydney is about a four hour drive from our home in Canberra, and it is a trip we do often because we have many relatives and friends living in this beautiful city. 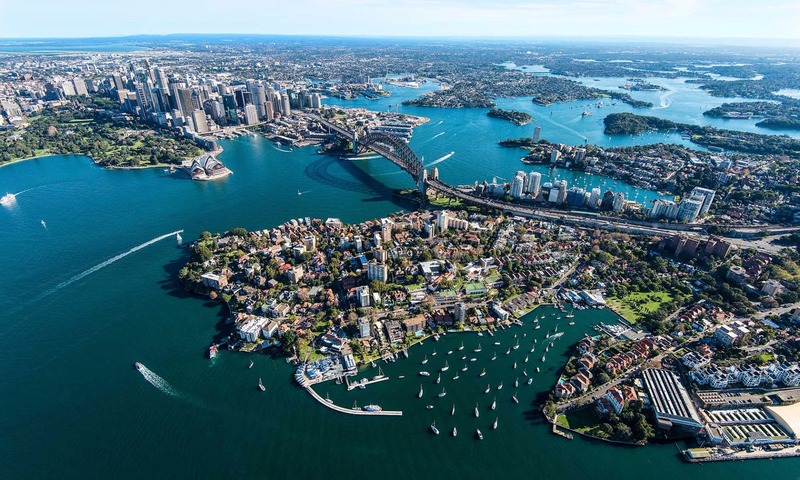 The aerial photo below shows Sydney’s inlets and bays, and those who are lucky enough to live around the bays, can take a ferry into the city. 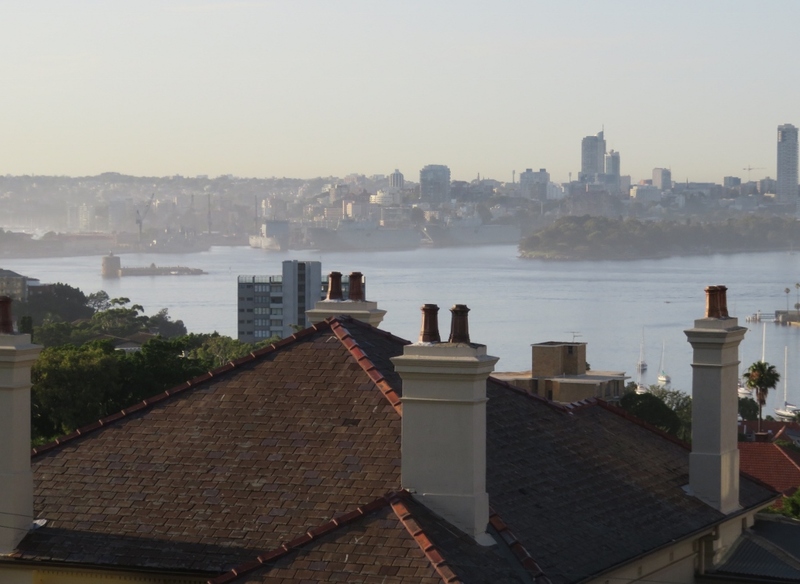 We stayed in Neutral Bay on the right in the photo below.. 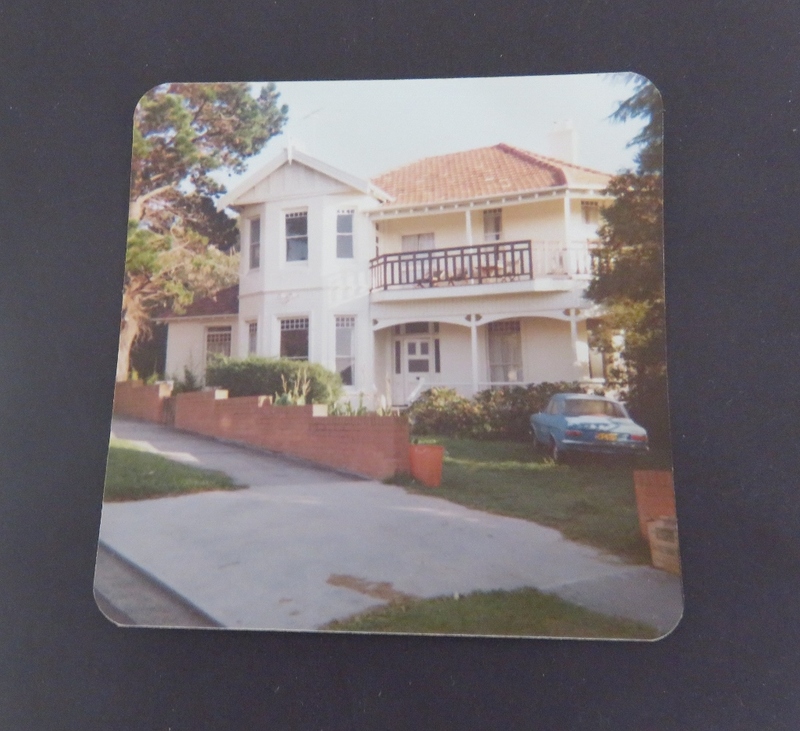 This is a trip down memory lane for me because I began my teaching career in Sydney, and l lived in a shared house in Neutral Bay…. Isn’t it grand? I shared the ground floor of this house with three other people, and a couple lived upstairs. 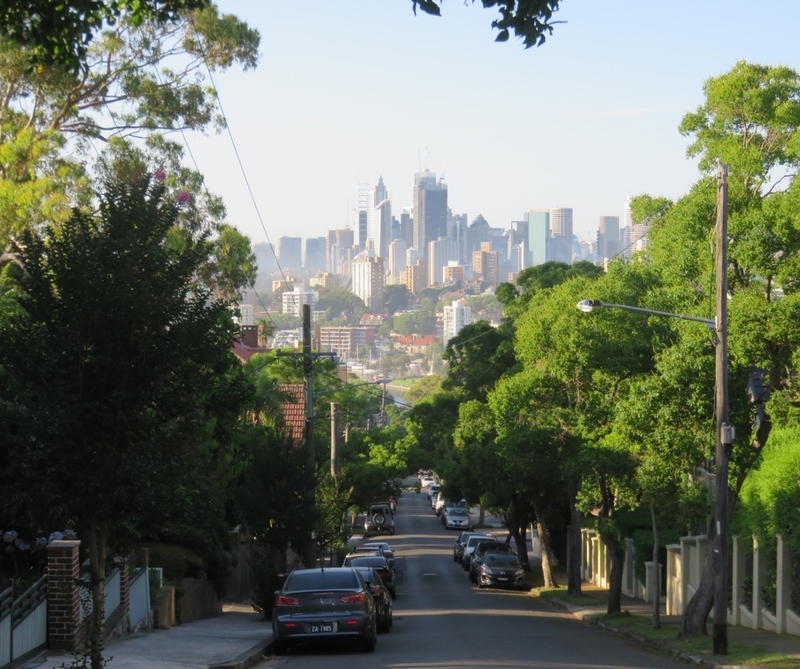 it seems amazing to think, in the ’70s, there were many large houses, (I lived in two) that were relatively cheap to rent…this is now one of the most expensive suburbs in Sydney. 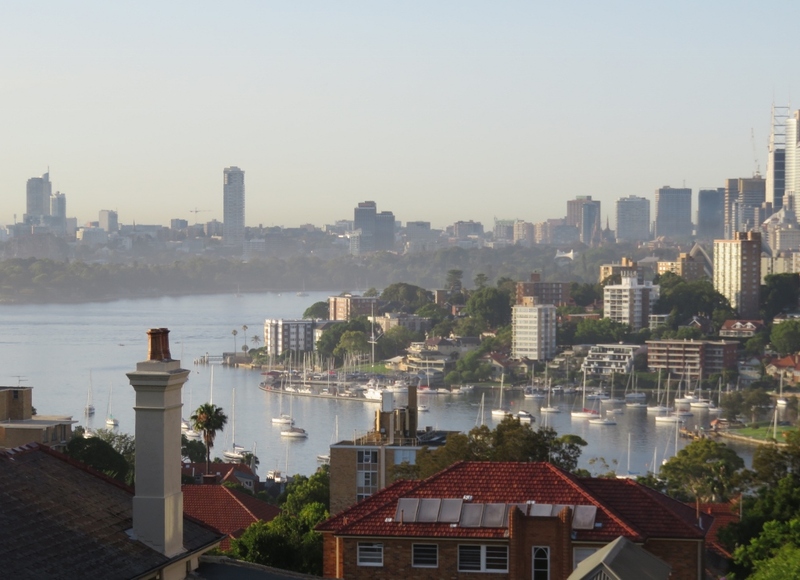 The name Neutral Bay comes from the early colonial period of Australia when Governor Arthur Phillip declared this bay as a neutral bay where foreign ships could anchor and take on water and supplies, but far enough away from the settlement to avoid trouble! We did a family walk back to my lovely rented accommodation, but it is now surrounded by high walls and is hardly recognisable. Never mind, I have wonderful memories of sitting on the ferry to go to work, and there is no better way to de-stress from a noisy class than to come home on a ferry in the afternoon and feel the cool breeze from the harbour. 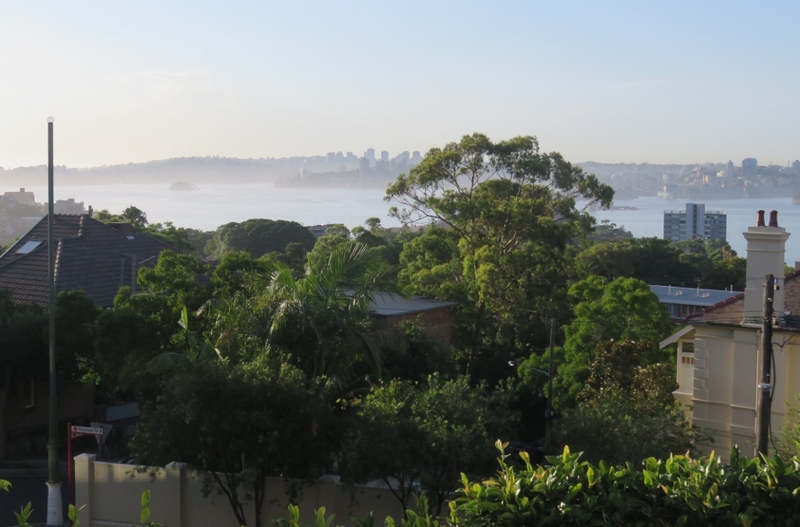 the sea mist across Sydney..
We went for plenty of early morning walks and I was reminded of how important trees are in all cities, but especially those with long hot summers. 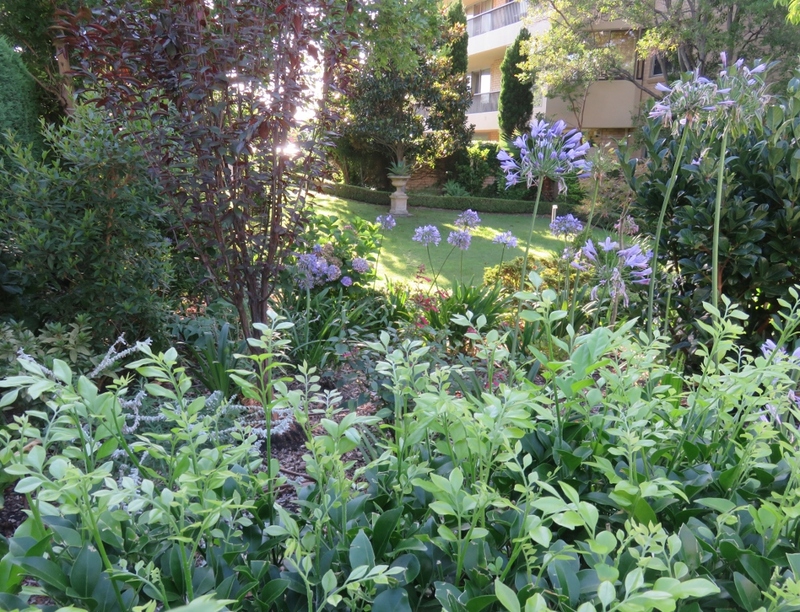 In summer Sydney is full of incidental colour, plants love the climate..
Perhaps it wouldn’t be too bad living in a unit (apartment) if you looked out on these tranquil gardens..
and this little Internet garden with free Wi-Fi and two comfy chairs… so thoughtful! 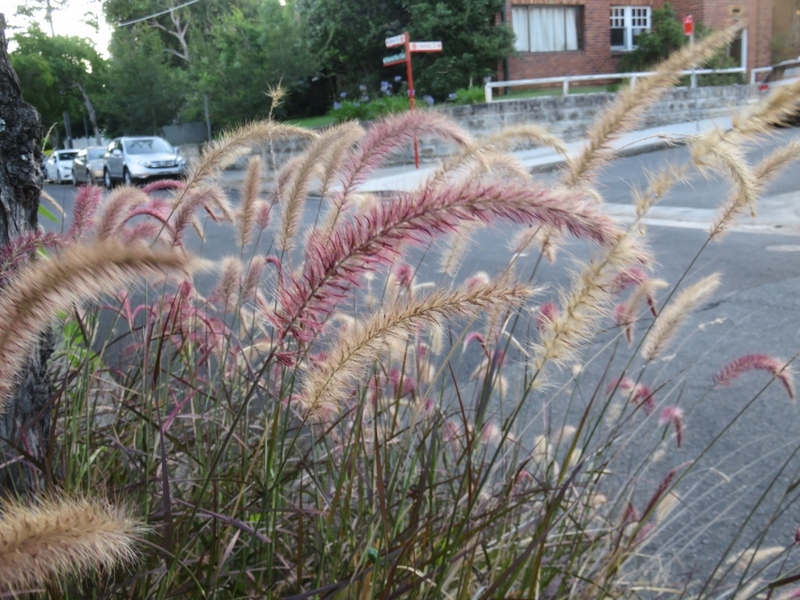 In some ways the suburb hasn’t changed since my relaxed days living here. 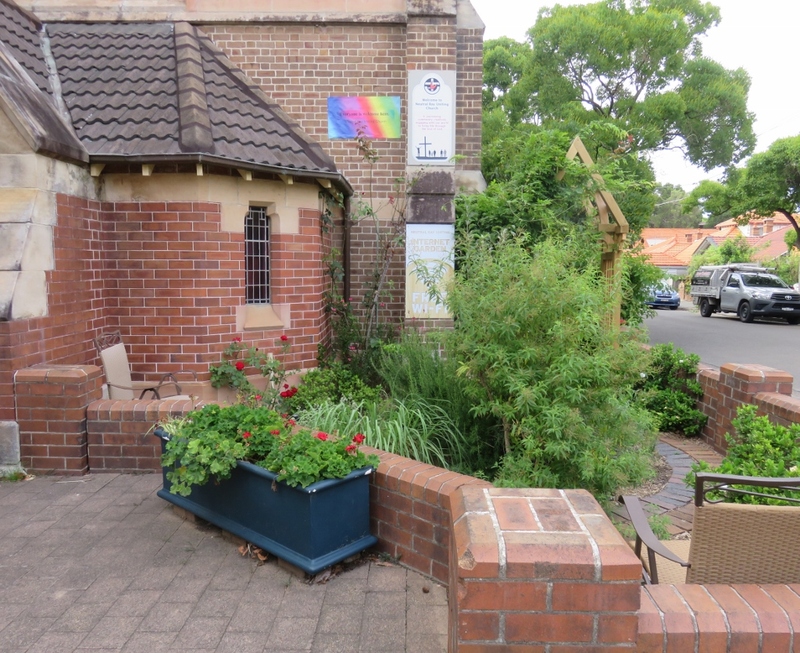 The Uniting church street library. Since our trip to Sydney the weather has deteriorated, and we are now experiencing a heatwave across the country. ….so I hope you are keeping cool or warm where ever you are in the world.. Thanks for going down memory lane with me! 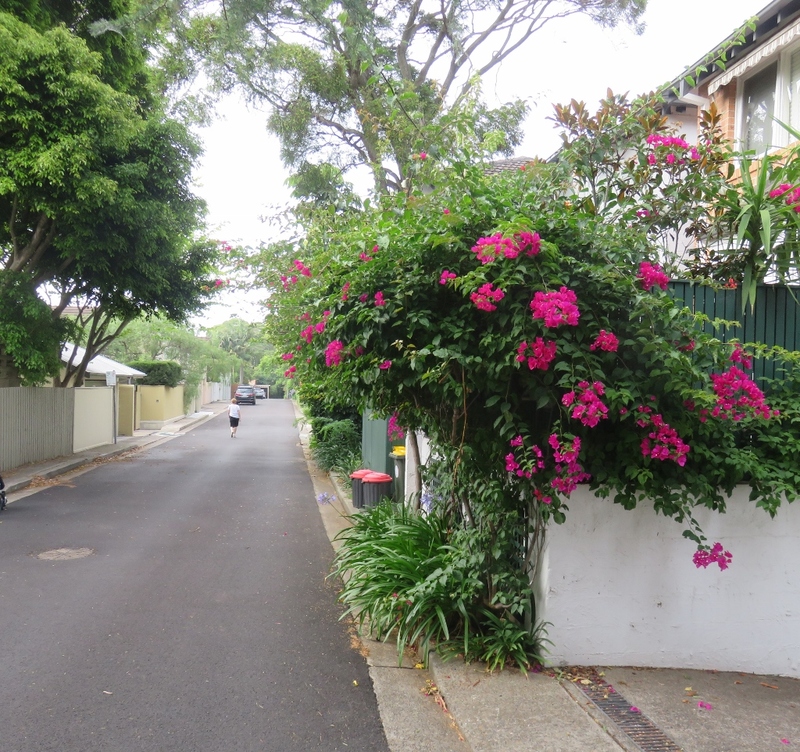 This entry was posted in Sydney's Green Spaces and tagged Bougainvillea, Canberra, Hibiscus, Neutral Bay, sea mist, Sydney on January 26, 2019 by germac4. I thoroughly enjoyed your trip down memory lane with all those excellent photographs. Thank you for the tour. Thanks Susan, contrasting weather to yours in the UK! 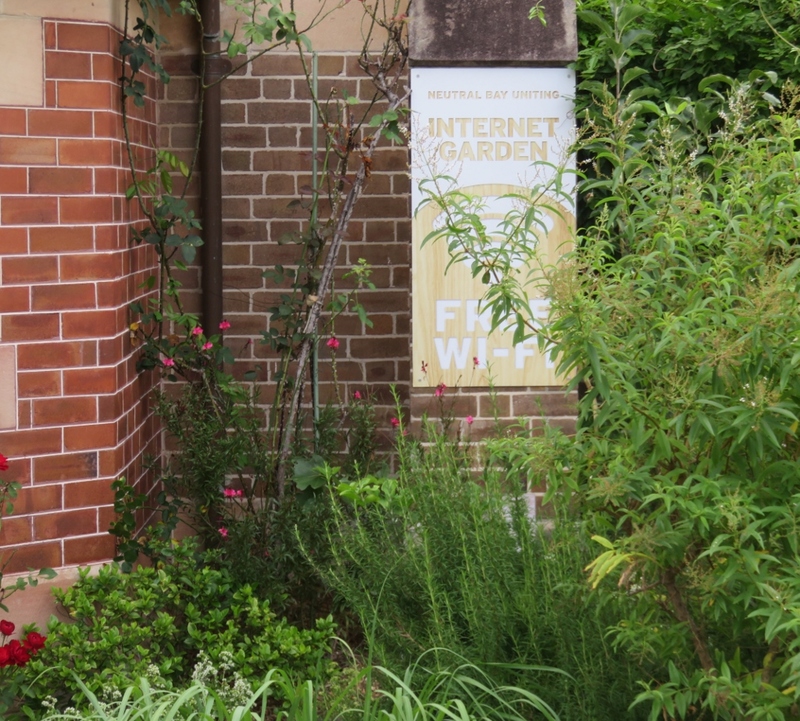 Yes, the internet garden and church library was great to see! I do love Sydney. We climbed the bridge this time, not all the way to the top just one of the pillars, but it still gives an excellent view. I’m glad the house is still standing, even if it does look rather different. Canberra could not match some of the temperatures you have been through! However, Adelaide was the hottest city in the world the other day….enough already. Wonderful going down memory lane with you! Beautiful shots of the city. We have heard of the horrifying heat, which sounds oh so terrible to this Mainer. Hope the heatwave breaks soon. 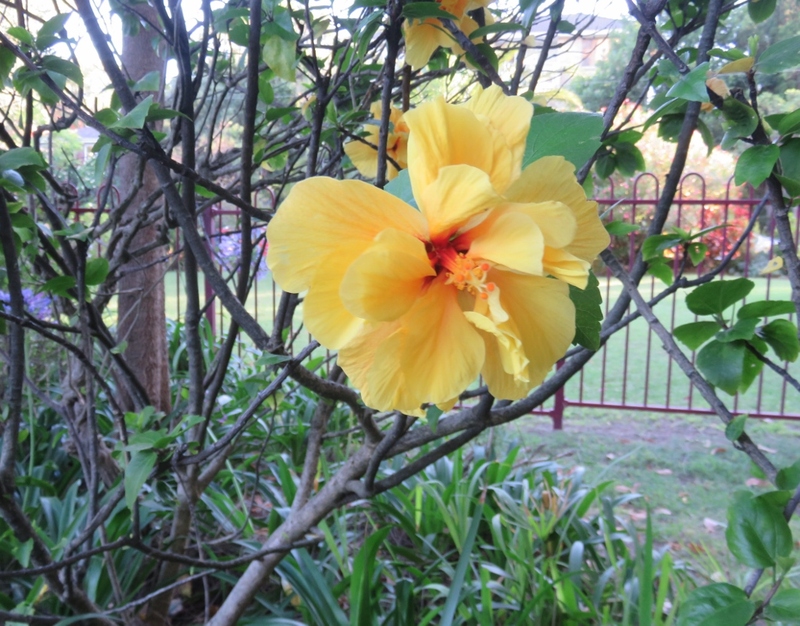 Thanks Laurie, we have had cooler temperatures and rain overnight….so things are looking up! I feel tranquil just looking at those lovely gardens. We have flipped the tropical weather chart up here and are enjoying cool days and more rain than we need – 182mm in my rain gauge over the past 24 hours. Good for staying in & making hot soup. How funny! The cities in the south, Adelaide and Melbourne, (and Canberra) have been 40 degrees plus.. I used to enjoy winding down on my train journeys between Aarau and Zurich. Some deliberate geographical time and space between work and home. But a ferry would be blissful!! Yes, the ferry really divided work from home. Did you live in Sydney or Melbourne when you came to Australia? The heatwave hasn’t been too bad for us,but dreadful for the parts of the country in real drought. What an excellent trip down memory lane, Gerrie. 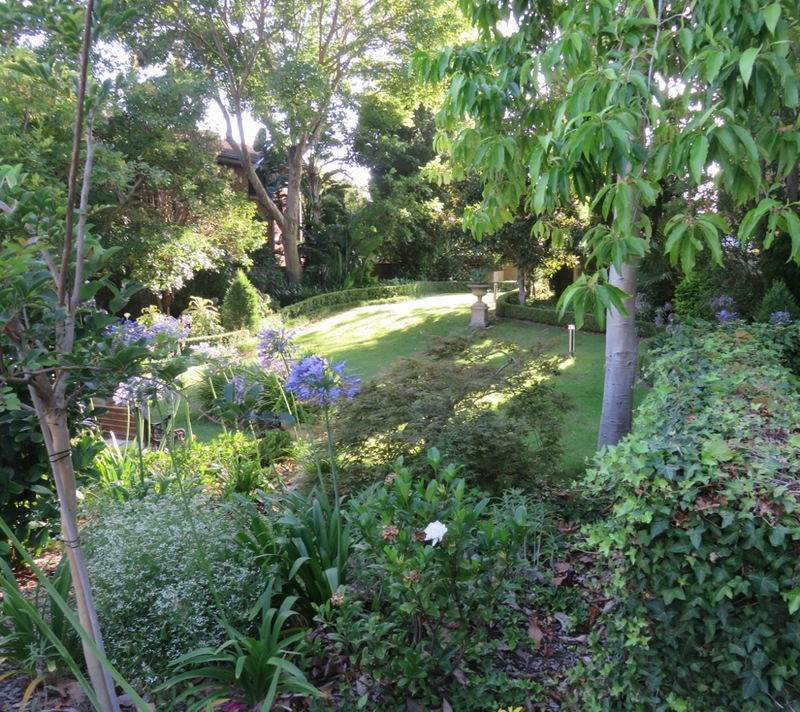 The gardens look so lush and colourful and the views across the bay are wonderful! It was nice to spend some time with the whole family there. What a beautiful city. Looks like they make the most of that curvy coastline. Most of the curvy coastline is now very expensive real estate! Thanks Halle, Sydney is a lovely city, especially around the Harbour.